My husband and I are in the process of converting our formal living and dining room into his "man room." Since most formal rooms are rarely used, we knew we would get much more use out of these rooms if we made them his own adult playroom. My dream man room would be modern, sophisticated and elegant, and I'm playing around with the idea of wood paneling to achieve this vibe. For some people, the first image that comes to mind when they think of wood paneling is the cheesy paneling from the 1970's or stuffy university libraries, both of which can be dark and oppressive. 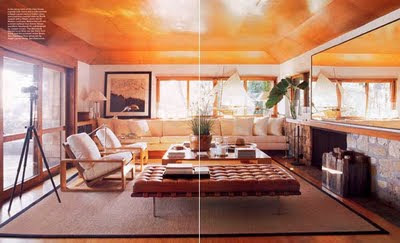 Using wood paneling as accents rather than wall paper brings in organic warmth without overwhelming the room. The wood accent wall acts as a headboard and becomes the focal point of the room. 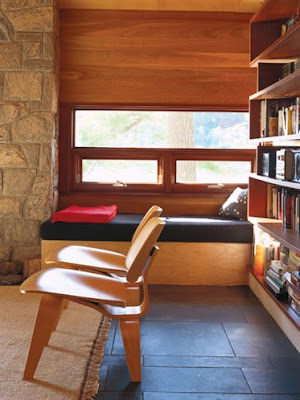 The wood paneling is installed horizontally instead of vertically for a modern twist. Everything else is done in lighter tones, making the room bright and airy. The wood clad ceiling creates intimacy by visually lowering the ceiling. The honey tone of the wood imparts casual warmth. 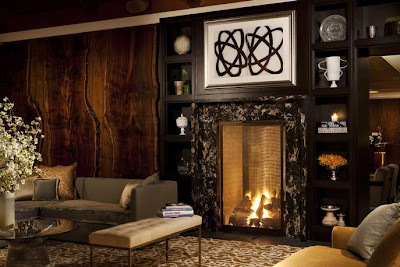 In moderation, wood paneling adds beautiful, organic texture and melds well with other natural materials like stone and slate. 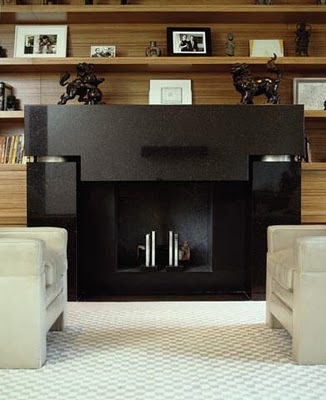 Wood paneling does double duty with built in shelves in this deco inspired living room.